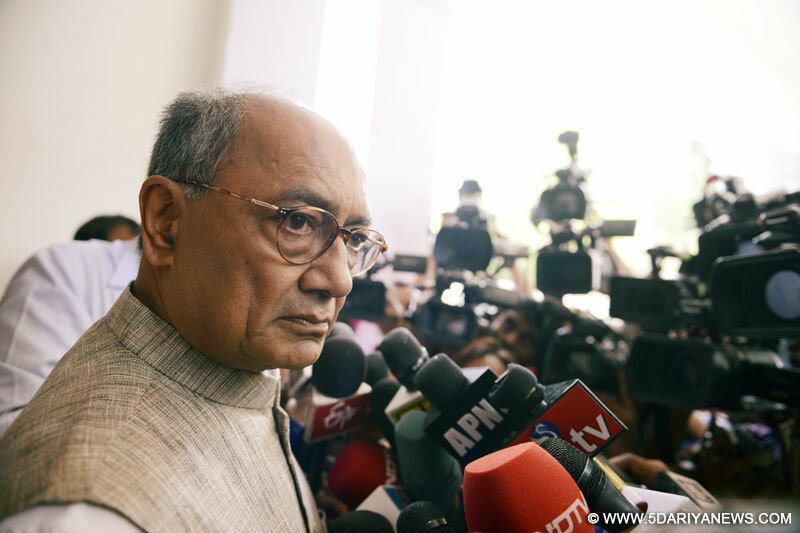 Senior Congress leader Digvijaya Singh on Sunday said civilians in Kashmir have become the target of both militants and the security forces, adding that a feeling of distrust among people has developed after the PDP-BJP government came to power. "The civilians are being killed from both sides in Kashmir Valley. From one end, the militants are killing them and on the other, they are becoming the target of the security forces," Singh told media persons here. "To understand what the people of Kashmir are going through, one should go there and find out. One cannot form opinions about Kashmir sitting here. Many families have lost their loved ones and many have lost their eyes too," he added. He also said that after the Peoples Democratic Party-Bharatiya Janata Party coalition government came to power in Jammu and Kashmir, a feeling of distrust has developed among the people of the Valley towards the government. "The situation in Kashmir was improving. From 2005 to 2013-14, except for 2010-11 when there was some unrest, peace was established in the Valley, normal elections were going on," Singh said. "But after PDP-BJP came to power, a sense of distrust among the people towards the government has developed. If you want to have Kashmir in India, then won't you also keep the people of Kashmir as well. Don't you think we should win people's confidence in Kashmir," the leader asked.